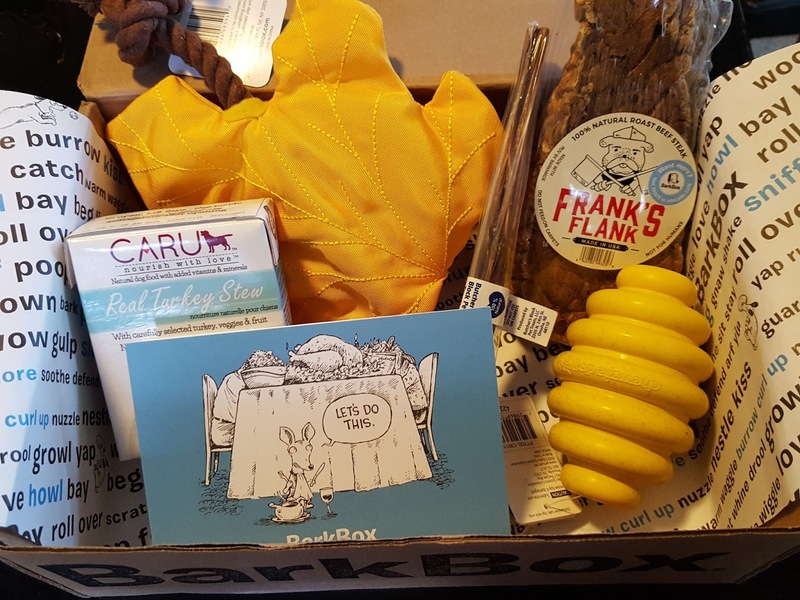 Pint-sized and Simple: BarkBox Unboxing - November 2015 + You Can Get A FREE Box! BarkBox Unboxing - November 2015 + You Can Get A FREE Box! 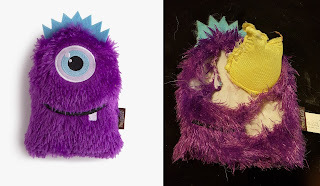 It's BarkBox time again, so that means I can finally replace the shredded and disemboweled toys littering my living room with clean-smelling intact ones. That's one stench I can't handle - dried up old dog slobber on plush toys. I rather smell dog poo. But as I was saying, my dogs' life mission is to destroy any toy whether it's plush, rubber or plastic. They don't discriminate. The plush ones usually end up losing quickly, as was the case last month. I gave the Fat Bob monster toy to Pebbles and it was gutted within minutes. I contacted BarkBox customer service to inquire about a tough chewer box option and guess what - it exists! Not every toy under this option will be indestructible, but they'll try their hardest to send out toys that can withstand strong jaws. November's box is fall-themed and - yup - it also contained a toy made for crazy chewers! It also looks like Barkbox ditched the info card, at least for this month. Product info is now available online in your My Barkbox account. I think from there you can also take a sneak peak at your upcoming items before they ship out. Ooh, and this is fun: in the spirit of Thanksgiving it looks like every item in November's box is from a company who gives back to shelters and rescues! Kudos to Barkbox for supporting generous companies. 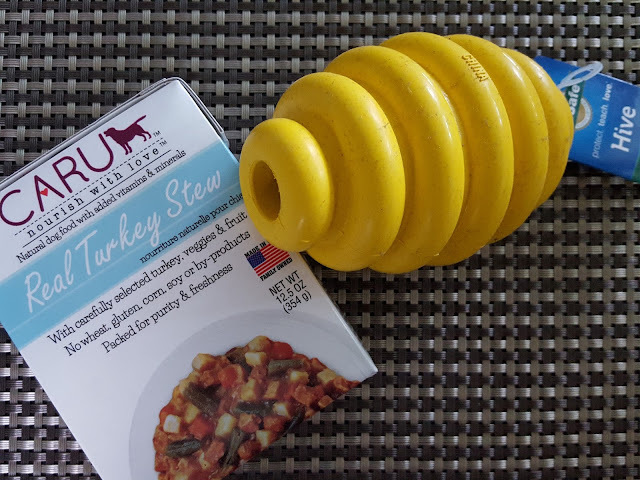 Caru Turkey Stew (Value: $6) - Thanks to Caru and Barkbox, your dog can partake in Thanksgiving festivities too. This is a pretty sizable carton, like an oversized juice box. Fun fact: "Caru" is Welsh for "to love." I think that automatically means it gets the Welsh corgi seal of approval. :) Plus it's wheat, corn and soy free with real turkey as the first ingredient! PetSafe Chewzie Dog Hive (Value: $10) - This month's tough toy is a simple rubber treat dispenser. I love these types because my dog will take longer to tear them apart (but she will eventually) and they're dishwasher safe. And it gets bonus points for holding treats ;) My furbutts are totally treat-driven and anything that keeps them occupied wins my vote. It also bounces erratically so it's great if your dog is like mine and thinks the best way to remove treats from toys is to drop it. Think again, buddy! 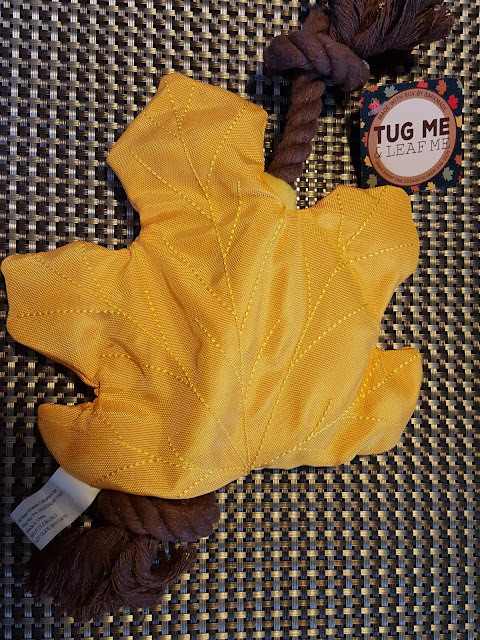 Barkmade Tug Me & Leaf Me Toy (Value: $14) - OMG this toy makes me so happy. It's a maple leaf with a squeaker in each lobe as well as a huge honking squeaker about the size of my palm in the middle. Macho and Pebbles love their squeaker toys and even though they'll probably tear through the nylon material within a day, there's still a rope passing through the toy that they can play tug of war with long after the squeakers are chewed up and destroyed. 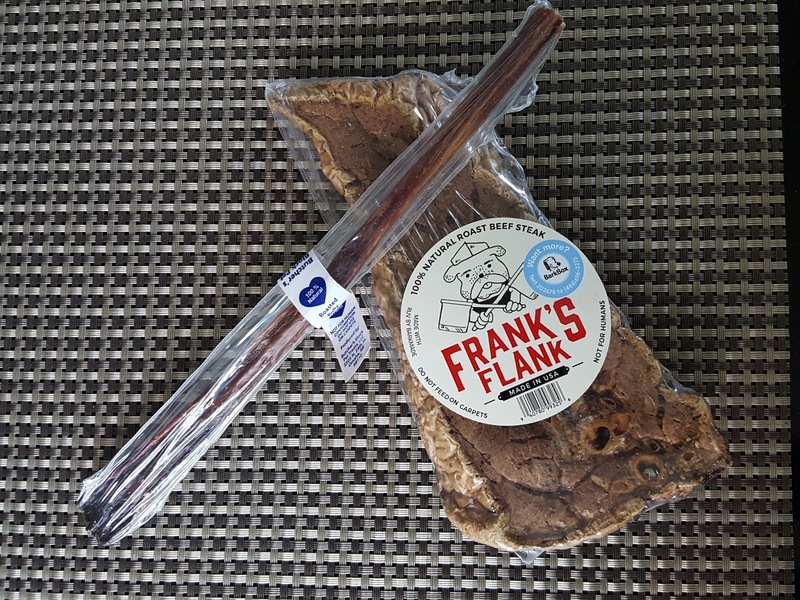 Butcher's Block Bully Chew (Value: $4) - Barkbox old timers know that no Barkbox is complete without a chew of some sort. A long time ago each box contained one 6" bully stick and in more recent months boxes contained a crunchy chew that would be demolished in under a minute. I'm glad to see bully sticks making their comeback - and it's a 10" one this time! Barkmade Frank's Flank (Value: $4) - How awesome is this?! It's slow roasted Angus steak but for dogs. Since when do my dogs eat better than me? These flanks are slow roasted for 3 days and will make some well-behaved puppy really happy. Whoohooo! This is a super awesome box. I think it's the first time in about a year that I'm gonna give both toys to my dogs. I usually end up gifting one or keeping it for myself. (I can't help it if they're so cute, I know some of you pup parents out there do the same thing!) I'm not sure if other medium boxes had different stuff in it since I asked for one tailored toward strong jaws, but if this is an indication of what's to come I like it!